Kiyoshi Shomura's guitar lessons began at the age of nine, first studying with his father, Masato Shomura, and later with Yasumasa Ohara. In 1964, Mr. Shomura traveled to Spain to study with renowned guitarist, Narciso Yepes, who during a visit to Japan the previous year recognized Mr. Shomura's potential. Mr. Shomura performed several recitals in Europe during his stay in 1967-68. Before returning to Japan in 1969, Mr. Shomura performed approximately forty highly acclaimed recitals throughout Italy over a two-year period from 1968 to1969. After his 1969 recital debut in Japan, he returned to Italy as the Japanese representative at the 1971 World Youth Association International, and continued recitals abroad with a twenty-eight-city tour throughout North America. 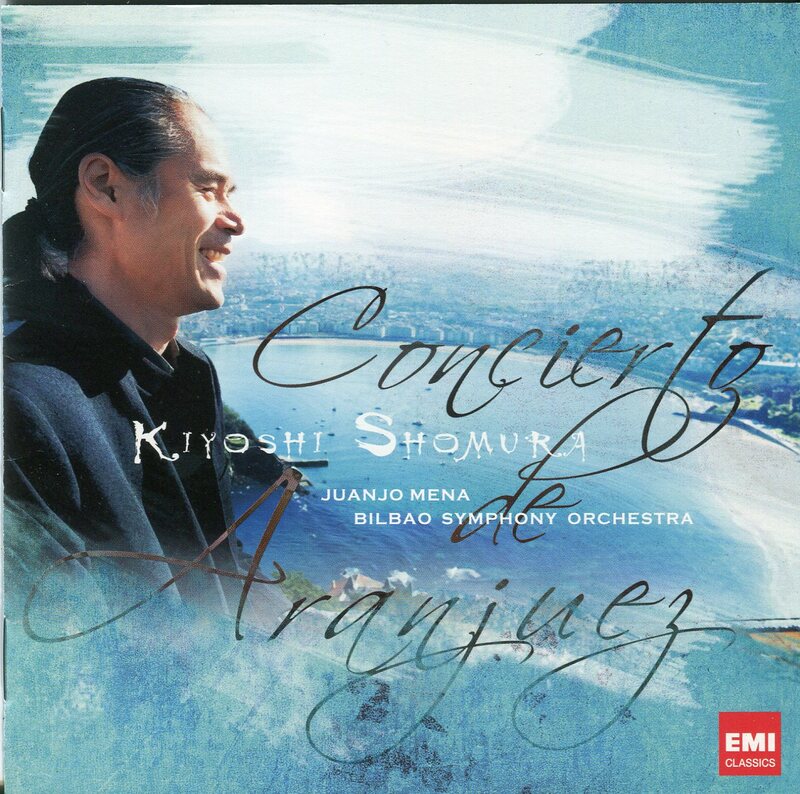 Since his early years, Mr. Shomura's concerts have covered a wide range of musical styles. In addition to solo recitals and performances with Japan's major orchestras, Mr. Shomura often collaborates with his colleagues to perform duo and trio concerts, with various instruments such as flute, voice, piano, violin, and mandolin. And as an advocate of contemporary works for guitar, he premiered and recorded Toru Takemitsu's guitar works, including a work written for him by Takemitsu, "In the Woods (1995) - three pieces for guitar." He continues today to commission and premier works by Japanese composers playing an important role in expanding the guitar repertoire. Kiyoshi Shomura records for the Toshiba EMI Label. In 2014, he celebrated the 45th anniversary of his career as a guitarist. 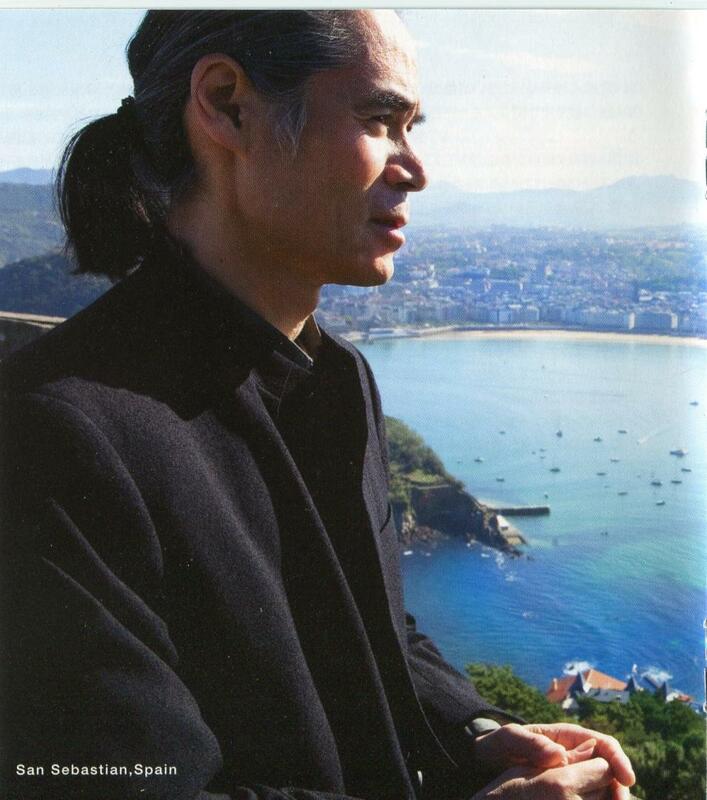 In December 2013, he released “Recuerdos de la Alhambra” featuring his roots, Spanish music. 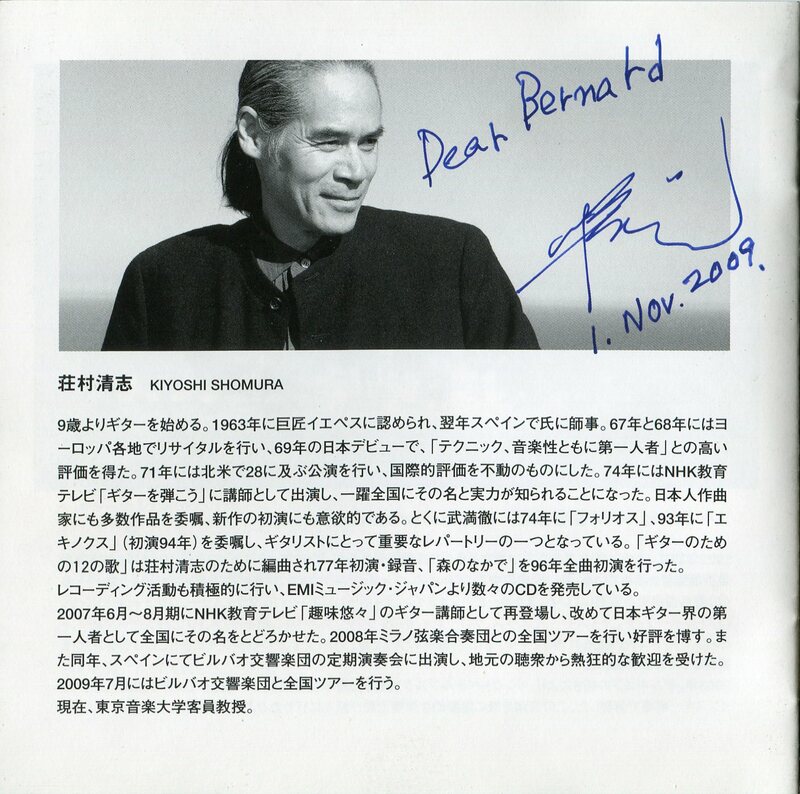 Other highlights of his 45th anniversary includes performing three guitar concertos with Tokyo Metropolitan Symphony Orchestra conducted by Naoto Otomo and several recitals throughout Japan.